Land Rover caused a few ripples of surprise when it announced that it was axing the Freelander. Indeed, the trusty old Freelander was a cornerstone of the Land Rover range, clocking up a million sales since its launch in 1997. However, with the Audi Q5 and BMW X3 gaining ground, Land Rover has decided to replace the Freelander with all-new model, the Discovery Sport. We should point out that the Discovery Sport is not a Discovery. On the contrary, it is based on the Evoque, using the same front suspension, mechanical layout and chassis. The exterior styling is also similar, with the Discovery Sport also using the latter's light headlight clusters and clamshell bonnet design. However, there are some important changes, especially at the rear. 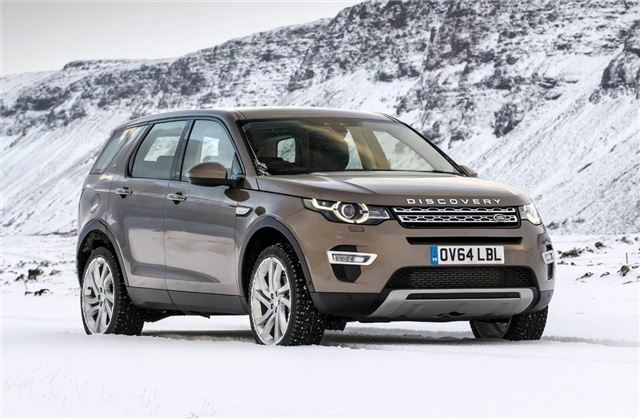 For starters, the Discovery Sport is longer than its compact cousin, while the wheelbase has been extended. Land Rover has also introduced a new multi-link rear suspension to improve the ride and handling. This means the Discovery Sport is extremely large inside, with seven seats and around 1700 litres of storage. The second row of seats can also be moved back and forth, offering a Range Rover rivalling 999mm of leg room. As a result, the Discovery Sport has a lot of family appeal, especially for those can't quite justify the expenditure for a full fat Discovery. Although the Discovery Sport is sold as a seven seater, it’s worth noting that the third row of seats are not really suitable for adults. However, they are ideal for kids and there’s plenty of space in the second row for three large adults, with plenty of head and shoulder room. There's also plenty of storage, while each door gets a 14-litre pocket. Standard equipment is high though and all models get climate control for the first two row of seats, along with cruise control, a heated windscreen and partial leather seats. The Discovery Sport can also be fitted with up to four 12V power points and as many as six USB charging sockets, which means all three rows can charge electronic devices simultaneously. Despite its enlarged dimensions, the Discovery Sport is surprisingly nimble and refined on the road, with responsive steering and minimal exterior noise. Admittedly, the ride is a little hard at low speeds, but it soon settles down at higher speeds, which makes the Discover Sport a decent long distance cruiser. The Discovery Sport can also handle itself off road, with full time four-wheel drive and a comprehensive range of off-road kit. Indeed, the driver has four off road settings to choose from, which optimises the powertrain to cope with everything from wet grass to heavy snow. The Discovery Sport also benefits from short overhangs, which means it can tackle 45 degree inclines and wade through a maximum water depth of 600mm. We tested the Discovery Sport in Iceland and found it to be a competent off roader, with heavy snow, ice and deep water proving to be little obstacle. Obviously, it has its limits - it's no match for the Defender - but for general driving and light off roading, it's ideal. A six-speed manual gearbox is fitted as standard, but we'd recommend the excellent nine-speed automatic, which returns seamless changes and automatically adjusts itself for off roading. At launch, the Discovery Sport is limited to one engine - the Freelander's old 2.2-litre SD4 diesel. Admittedly, the engine returns meaningful performance, with 190PS and a claimed 46mpg, but there's no hiding its gruff and unrefined nature. We found the diesel to be noisy at idle and vocal under hard acceleration and given the choice we'd wait for the upcoming eD4 diesel engine, which will emit 119g/km CO2 (compared to the SD4's 162g/km). The new engine will also lower the Discovery Sport's asking price to under £30,000, which is a lot more palatable compared the SD4, which starts at a considerable £32,395.